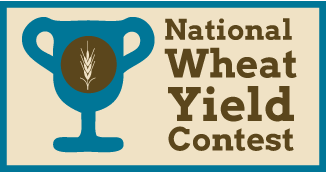 The National Wheat Foundation is proud to once again host the National Wheat Yield Contest. This yield contest was held for the first time in 2016 and was well-received by wheat growers across the United States. The Contest offers growers the opportunity to compete with their peers across the United States and learn from each other innovative techniques to improve wheat productivity on their farms. To register and learn more about contest participation, visit the contest website!